A visual artist and former teacher who moved to Philadelphia in 1974 and started her arts management career in 1978. 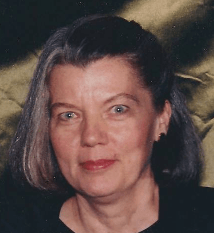 From 1981 to 1999 she produced over 60 plays working as Managing Director of the Germantown Theatre Guild, Founder and Executive Director of Kopia Theatre at Cornucopia on Parkside Avenue, and co-founder of Venture Theatre where she was executive director for thirteen years. At Venture Theatre she worked with teachers and administrators at 15 different Philadelphia public schools to implement Theatre for Learning, a program that used theatre to teach across the curriculum. Her other positions have included 12 plus years as Development Officer at Art Sanctuary, Founding President of the Business Association of West Parkside, Member of the Mayor’s Small Business Advisory Council (Goode administration), and four years on the Greater Philadelphia Cultural Alliance Board of Directors. She also served on the Program and Board Placement Committees of PVLA (Philadelphia Volunteer Lawyers for the Arts). Betty returned to West Parkside in 2000 where she lives with her husband. She served for three years on the Board of the Friends of the Shofuso Japanese House and Garden and is a member of the East Parkside Historic District Coalition and the Mann Center Virtuoso Committee.